Disclaimer: I am posting this particular post for a future date, as I don't want anyone to think I'm speaking about a situation with them in particular and I don't want anyone looking at the date this is published and think they have any idea what I'm talking about. Also, this is a general topic, but given the nature I wanted to make doubly sure nobody thought I was hypocritical to them. I am a hypocritical Christian. Technically, we all are. We're all sinners, preaching the "Do as I say, not as I do" theology. But we, as Christ-followers, should be doing our best to reflect the love of Jesus onto everyone we meet. And recently, I have completely failed at this. I was, sometime in the past from when you read this, presented with an opportunity to do something that sounded like fun. Sounded like fun, but I knew it was wrong for me to do. But I thought about it anyway. I was completely giving in to the ideas of, "I deserve a little fun," and "Nobody has to know this one time." Listen, folks, I'm not talking hard drugs or anything, don't worry. Just something I knew I should not partake of, regardless of the "fun in the now" factor. I thought about it. A lot. I asked a few trusted people about it. They all said to R-U-N in the other direction. But it was sooooo...tempting. I knew, when faced with this situation, that God could bring me out of it. I knew it. I knew this verse. This is the verse that inspired the addage, "If God brings you to it, He'll bring you through it." And as cliche as that is, it's true. You can, hard as it may be, turn from any temptation and walk away. You can. I promise you, I know. When faced with my temptation (stop trying to guess. I'm def not talking about food here.) - and I do mean faced - I stood my ground. THIS IS NOT A GOOD IDEA. I even related that yes, I was sorely tempted. I thought partaking of said temptation would be fun, but I knew it was a bad idea. And I walked away. Go me, right? I was pretty thrilled with my Christian self. Until I realized that I had totally played along until the last minute. 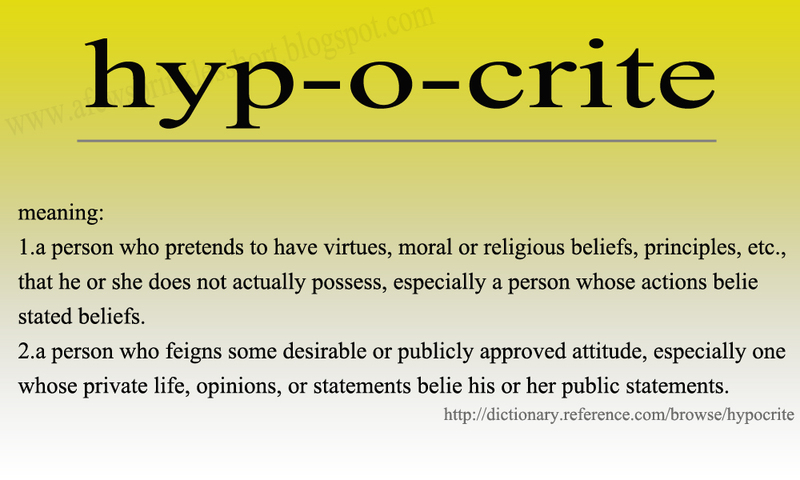 I made myself and every other so-called Christian out there look like a complete hypocrite. I could imagine those I walked away from saying, "You know, Allison said she's a Christian, but she was willing to give in until that last minute. I knew all Christians were hypocrites!" GASP! I ruined Christianity for someone! NOOO! I want to go back and say, "Listen, I am not perfect. I am a Christ-follower but I am not perfect. Only Christ was perfect, I still sin away. I pray for forgiveness, I ask for salvation and to keep from doing a sin again! You can do that, too! You can turn away from whatever sin is in your life and make it right with God." I did not say that. I missed a chance for a hypocritical Christian like me to witness to people who needed to hear it and maybe let them see that I am in no way perfect and Jesus loves me anyway and He loves them, too! Someone who is aware of the situation said I may not have talked about the Love of Christ, but I showed it by standing my ground. The people, she explained to me, know I am a Christian and know that in the end, I chose God over the temptation. So if you're out there, person or people who might think all Christians are just zealous hypocrites, please know that we're all sinners - just like you. None perfect, not by a long shot. And we're tempted, just like you. And yes, sometimes we utterly fail and give in. (And God will forgive us over and over, thankfully.) And hopefully, most of the time, we can stand our ground and say, "My Jesus loves me more than that, and He loves you, too." Romans 5:8-9 says, "But God demonstrates his own love for us in this: While we were still sinners, Christ died for us. Since we have now been justified by his blood, how much more shall we be saved from God's wrath through him!" Have you ever felt like a hypocritical Christian? 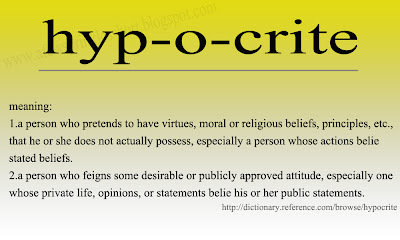 Or if you're not a Christian, do you think we're all hypocrites?